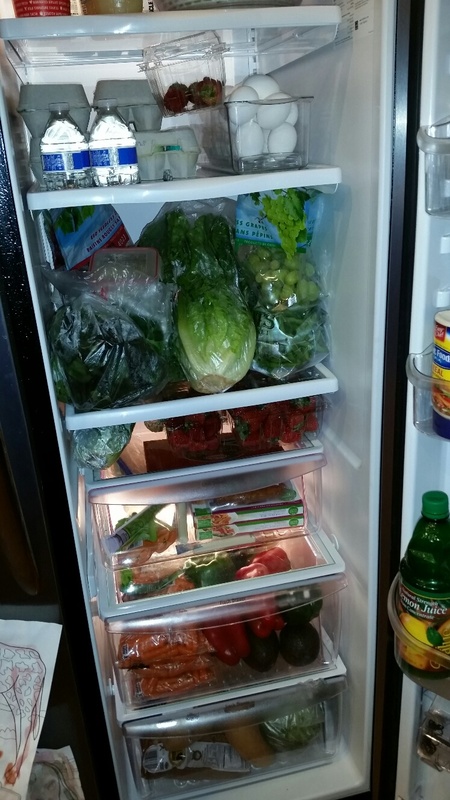 We are nearly done with our Whole30 challenge! Wahoo!!! Gosh a lot has changed in our lives in the last few weeks. I have learned so much and am so thankful that our family took on this challenge! In 23 days we have changed a lot of eating habits and learned that I can live without sugar (but I do miss it). I have somehow managed to survive without eating a slice of artisan bread. and besides brownies, I LOVE a good slice of crusty sourdough bread slathered with some real butter. Now, that’s a treat to me! And, I have managed to go without for 24 days – as well as my beloved cup of cream and sugar + coffee. Yes you read that right, cream and sugar plus some coffee! I truly love cream and sugar a little bit more than the actual coffee! I really miss that cup of warm coffee first thing in the morning while I do my Bible Study, but I don’t miss the caffeine and sugar crash a few hours later. I also read somewhere that caffeine is an appetite suppressant. I had no idea! No wonder that first cup of coffee each morning kept me from feeling very hungry, I would usually eat breakfast, but not for an hour or so later once the sugar rush was starting to wear off and I needed more than caffeine to keep me going. I realize now that the very first things I put in my body each morning were a horrible way to get my system going each day. It’s like I was starting off on the wrong foot every single day. I sure miss coffee, but at the moment I’m loving having my all natural/sugar free energy drink, Axio, to get me going and it gives me that boost that my coffee did without the sugar/caffeine crash! I’m still trying to decide what I’m going to do about coffee after our challenge is over, but I had a good friend tell me I should just save it for a special treat every now and then. I like that idea! Or I should just learn how to love black coffee as much as I love cream and sugar! 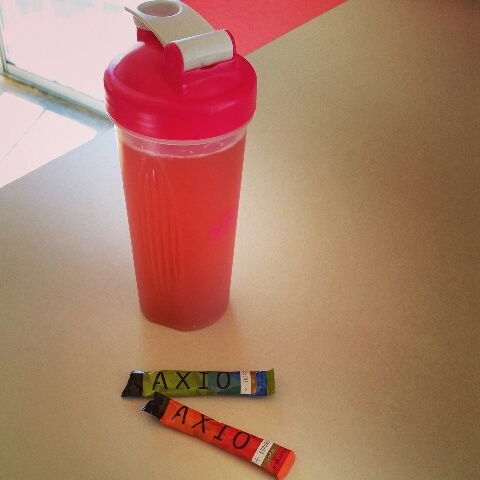 If you are trying to kick the coffee habit, then give AXIO a try – it’s guilt-free energy for sure! The cool thing about AXIO is that all y ou need is water, and they come in these cool packets that you can take on the go with you! Gosh, as I write this, I think I must be a little hungry, I sound like I’m starving! It’s funny when I read this because, 23 days is not very long at all in the grand scheme of life, but it feels like an eternity when you are in the middle of it! Still the hardest part is amount of cooking that I’m doing. I’m cooking or prepping food all the time! In fact, I was talking on the phone with my mom just this morning and she asked what I was doing and I told her that I was cooking. She laughed and said that was all I seemed to do these days! Which is very true, I feel like I’m constantly cooking, but I am getting the hang of anticipating what we will need or when we will run out of something. 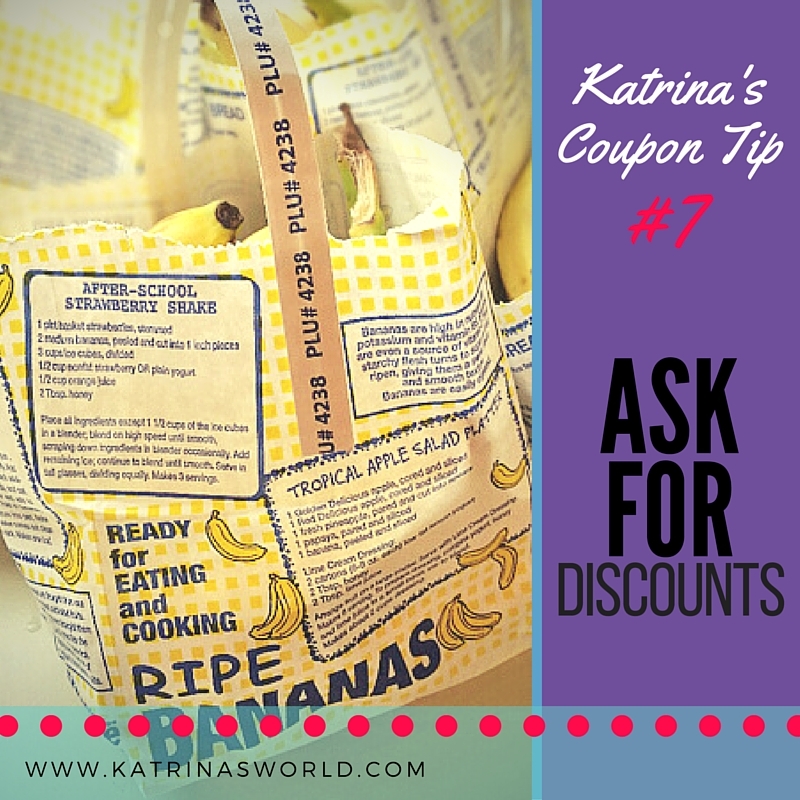 I like to have things done ahead of time (one of my silly nuances), so I tend to plan ahead and I’m getting a lot better at planning meals and snacks ahead of time and making whatever I can to have on hand before we need it. The key to a successful Whole30 Challenge is planning, for sure, and not allowing yourself to stress out if you mess something up! Planning ahead is huge – making breakfast the night before or making part of your dinner at lunchtime so you don’t have so much to do later on. Cooking from scratch just takes longer – the prepping and the actual cook times – so planning ahead as much as possible is key! I like that I’m getting the hang of it, because it all becomes so much faster and more fluid and a lot less stressful. A perfect example is that I had a little bit of extra time this morning, and because the weather is so gorgeous right now, I knew that we were going to try to go to the park after school today. Usually I have a good hour or two of cooking to do each evening for dinner – so playing at the park has not been an option for the last few weeks. 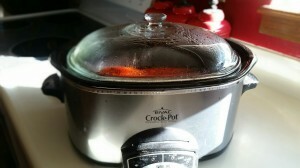 This morning I whipped out my amazing crockpot and got dinner going. I cooked up some scrambled eggs for tomorrow’s breakfast, and then hard-boiled a dozen eggs for quick snacks. My crockpot has been a lifesaver! I’ll use it to cook up some extra chicken for our lunches during the week, etc. 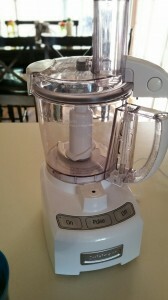 I also love a few other kitchen appliances – I would not have survived this Whole30 challenge without my crockpot, mandolin, and food processor. 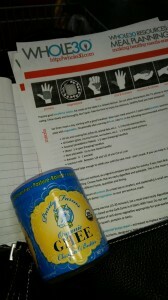 These 3 things have cut down on my prep time so much! Well, better get to work! So much to do now that I have all this extra energy and no food/sugar crashes. Hugs to you all! 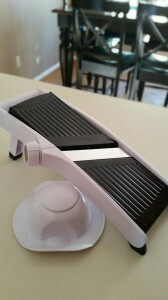 By the way, what is your favorite kitchen gadget? It’s week 3! Week 3! Yes! The Whole30 book was right, week 1 was torture, week 2 was a little better, and now on to week 3, I’m honestly feeling GREAT! I have my moments, when it’s 11pm and I’m still up working and totally craving a brownie and some ice cream, that I wish this new way of eating wasn’t working out for us – so I, along with the hubs, could go and indulge. But, in those moments I’m reminded that I’m feeling so much better, really. I feel lighter (which I know I am – I have not weighed myself because the book makes you swear not to during your 30 days), but, my clothes are fitting looser, and my stomach is noticeably smaller (but to be honest, the only person who has noticed my smaller size is my husband – which in a way is a bummer – oh well). When I look in the mirror, my face looks thinner, which is probably my favorite thing so far! One of the other great things that I’ve noticed personally is that I just feel better – I don’t have that awful feeling like you need to take a nap after you eat a meal because you just feel so full and can feel the sugar racing through your body. I don’t have any caffeine and sugar crashes first thing in the morning that I used to get from my coffee – although I will admit I still really miss my morning coffee (still unsure if I will give it up for good). I have replaced my morning coffee with an awesome, all natural, sugar free energy drink called AXIO – I love it actually and I NEVER have sugar crashes from it! Overall, I just feel so much better! Today I went for a 3 mile run and I did notice I’m running better – I just feel stronger – sweet! Still working on my feet and their issues, but overall, I’m just feeling a lot more alive! 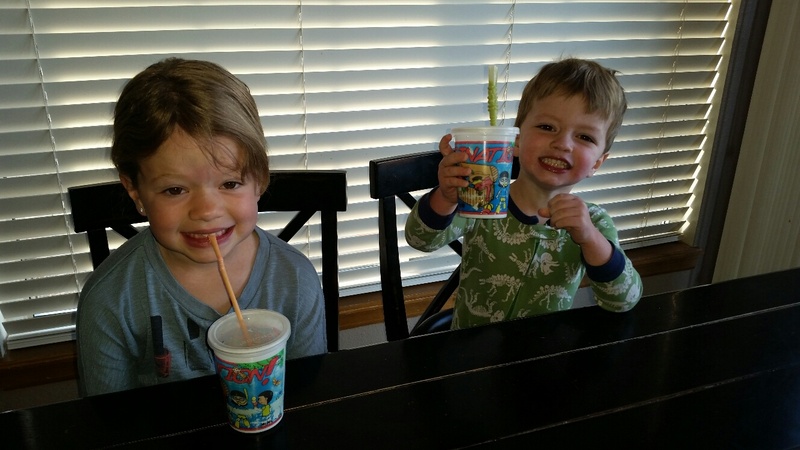 My kids are also doing much better – as I told you before, my youngest son, Rylyn, has been the hardest to deal with. His whining over food has been never-ending, but this week has been ok. He just eats what he’s given which is always ton of veggies and fruit and now eats any type of meat I prepare. This is the same child that just 3 weeks ago would ONLY eat frozen Mickey Mouse or dinosaur shaped chicken nuggets. 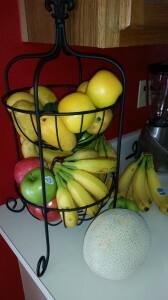 :) So he’s made a huge change – now he happily eats grilled, baked, any type of chicken and every other meat I prepare! It’s wonderful! We have had many picnics with friends and most of them are amazed at what he is eating – they too have known how picky he has been in the past! It’s been nice to see the change in him! 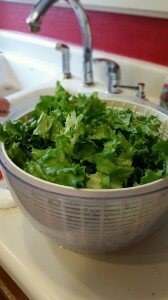 We spent a good portion of Sunday morning doing our new Sunday routine – washing vegetables and fruit. I try to make it an all-family affair – I can almost always count my 5yr old daughter in, she loves to cook and is a great sous chef! The boys on the other hand don’t always like to help out. 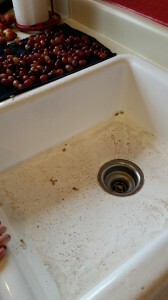 Rylyn, my 3yr old was happy to pitch in once he saw all the dirt in the sink that came off the spinach and once he realized he got to gently throw grapes and strawberries into the water! 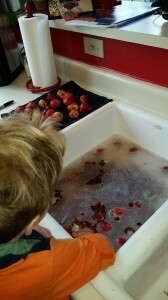 We washed and prepped so much stuff that I almost lost count! But it was fun and it hopefully will tide us over through the week! Now that’s it’s Thursday, we are starting to run low on some stuff, but we are making it! I’m learning! It’s actually quite mind-blowing! 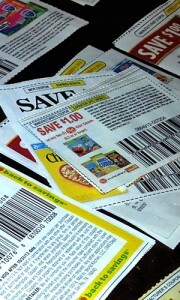 I hope to share more about this in my next few blog posts – as it’s incredible! Well, I need to get going on my dinner preparation – we are cooking dinner for the neighbors who are having some health issues – so time to get at it! Hugs to all! Health Quest – Will The Whining Ever Stop? We are officially on day 7 of our Whole30 challenge. Seven. It really feels like it’s been 6 months, not only 7 measley days. Am I tired of it? Yes. But not for reasons you might think. I actually don’t have a lot of complaints about the food – the food is good – it’s not super filling, but it’s good. My frustration is more from my kids and the constant complaining. 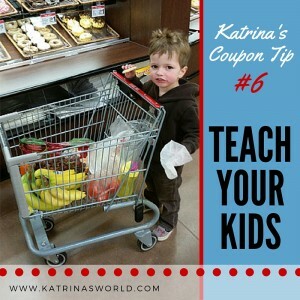 My older two kids are doing just fine – they are just eating a lot more than they used to – seems like every time I turn around they want another snack, but one of the problems with the snacks is that they are getting tired of only eating fruit and veggies for every snack and every meal. I don’t blame them, I’m a little bit tired of it too – I was thinking that a huge chocolate brownie and some ice cream sounded so yummy. fun, pizza, cake and ice cream. Thankfully we were at a place that had a lot distraction and we were able to keep the kids occupied while pizza was served, but the smells were mouth-watering. It was very hard to focus for all of us. As lunch time started to creep closer, all of us were getting so hungry and we all were ready to give in for a big slice of pizza! Thankfully we made a quick exit and headed home before they cut the cake, but not before all 3 kids had a meltdown. The whole car ride home they were ANGRY, I think they mostly were super hungry – I was too. 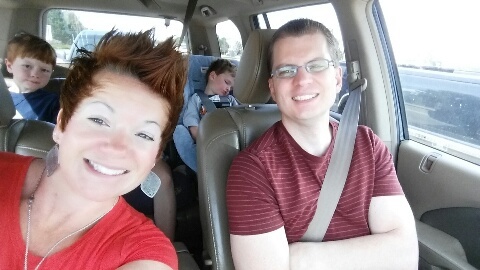 My youngest whined so much on the car ride home that he eventually feel asleep. We did make it home for our lunch of left-overs and ton of veggies which was not nearly as exciting as pizza, but we survived. I’d say overall my kids have done really well on this so far. Both of my older kids have the process down and have passed up many special treats and snacks from school and church that they normally would have had. They have no problem telling anyone that our family is not having sugar (cuz that seems to be the only thing they remember) for 30 days. Which I’m super proud of them for! My husband has done great as well – he missed out on two special meals at work where the boss man was treating everyone to a special breakfast and lunch that didn’t really have anything he could eat. I’ve not been faced with a social food challenge yet. My youngest son has no idea what is completely going on to be able to stand up for himself and make food decisions wisely. Something I have noticed is just how much of an importance we put on fast, convenient, quick, yummy food – there is junk food everywhere – it’s offered at every social gathering we attend. It’s no wonder we all have such a hard time slaying the sugar dragon. I mean my kids go to public school and they are offered candy treats a lot in class when they do something good, and every time a child has a birthday, there is usually some sort of special treat like cupcakes, suckers, or cookies that they pass out. When we go to church my kids are offered a “snack” which is usually fruit snacks, and when my youngest goes to Community Bible Study and Awana he is given a snack in his class that applies to what they are learning (could be little snack crackers or even cupcakes). 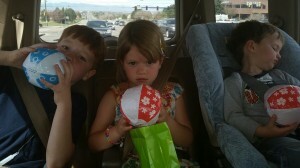 Every time we go to the bank they love getting lollipops, and when we go grocery shopping they love to get a free cookie. It’s crazy how sugar is everywhere – I mean, why can’t they hand out free strawberries at the grocery store instead of free cookies? Really, it’s no wonder my kids love sugar! But I’m just as much at fault in the reason my kids love sugar! 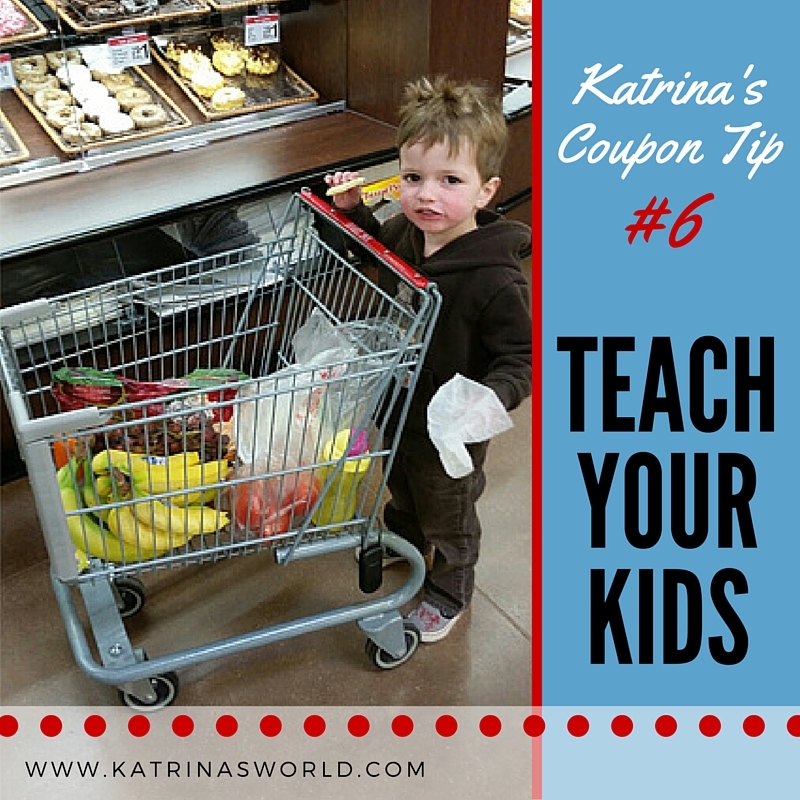 My goodness, I’m their mom – I can control a lot of what they eat and I don’t have to give them a cookie every time we go to the grocery store, now do I? The past 7 days have been hard, challenging, and rewarding all at the same time! The week was rough just trying to get used to prepping and preparing the food, finding enough time to cook every meal at home (we used to eat out a couple nights a week out of convenience), and deal with all the unexpected health issues with my oldest son. 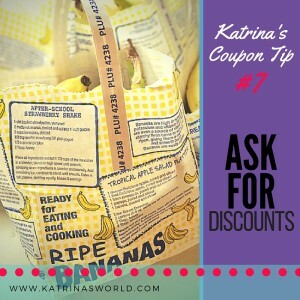 Can you believe that my family of 5 ate 4lbs of bananas this week? 4lbs! 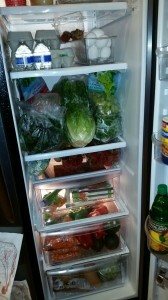 My fridge was totally full of fruits and veggies that I didn’t think we could fit it all! All the shelves and drawers that used to be full of yogurts and cheese and breads and milk are now replaced with 5 different types of lettuce! We also had a lot of extra kids running around our house after school and even had a sleep over with good friends on Friday night. I was pleasantly surprised how well our sleepover went even though it didn’t include any “fun” sleepover food like we usually do. We like to have pizza, soda, and a special dessert, then during the movie we like to have popcorn and chocolate milk. We didn’t do any of that! We stuck to our Whole30 eating plan and our little friends didn’t seem to notice one bit. Phew! I just wanted the kids to all have a great time and they all did – minus any “fun” food! In fact, they all were a lot calmer than usual and I secretly wonder if that is because none of them had sugar in their bodies? I’m praying for lots of extra strength and patience from the Lord this week…boy do I need it, and maybe some ear plugs to drown out the constant whining…will you pray with me this week? Have you ever done a Whole30 challenge? How did your first week go? Well, we started the Whole30 challenge 2 days ago, and it’s been the longest, hardest, and most shocking 2 days ever! I’m sure you are wondering why and there are several reasons. First of all, for completely unrelated reasons my oldest son was totally unexpectedly rushed to the hospital for his existing heart condition. 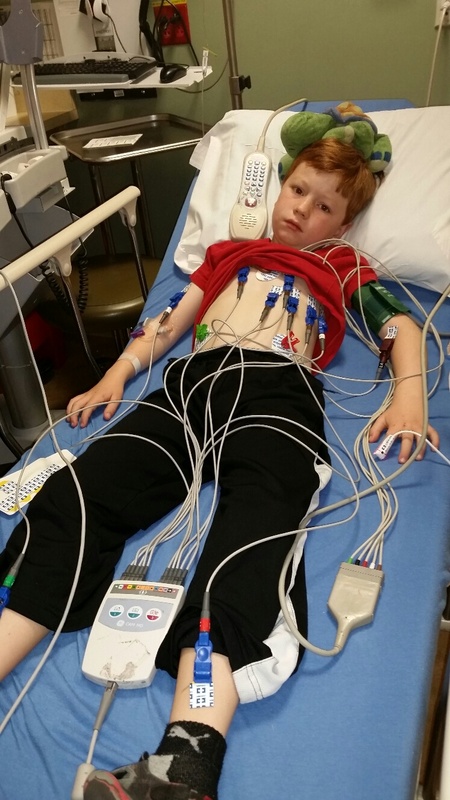 He is 8 and was born with SVT – basically he can have episodes when his heart beats VERY fast. We have known about this since birth and he used to be on a daily medication – as he got older he no longer needed the meds, but still has episodes from time to time. We have a couple techniques we can try when his heart starts racing to make it slow down, but for reasons only God knows, today we were unable to get him out of his episode. After trying for an hour to make it slow, we realized it was just a bad attack and off we raced to the hospital. Thankfully we know his SVT is not like an actual heart attack, but if his heart continues to race for an extended amount of time, it can cause a lot of stress to not only his heart, but his whole body. We found ourselves at the hospital for most of the day while he was hooked up to numerous heart monitors and EKGs. It was a long day of ups and downs, but we were released early afternoon with his heart slowed back to a normal rhythm. Thankfully my mom came to the rescue today and brought us Whole30 approved food to eat at the hospital all day! Totally silly, but I’m glad we don’t have to re-start. I praise the Lord that He was with us all day as I held Coen’s hand at the hospital. He is home now and resting and even got an excuse note from his doc to miss school tomorrow! I know that this excitement has nothing to do with the Whole30 challenge, but it’s part of my story so far. Here are the other reasons why the Whole30 challenge is really a challenge. Yes, the Whole30 is hard. It’s a ton of work prepping, planning, and preparing food. 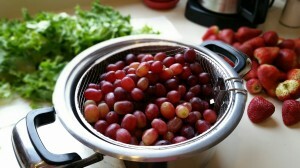 I’ve done similar things to this before, so I know how hard completely fresh and wholesome food is to prepare. The hard part is preparing those foods 3 times a day when I already feel like our lives are so busy! I did a lot of research before taking on this challenge – in fact I gave myself 4 full weeks to read the It Starts With Food book, pin and plan recipes, read up on what others have done with this challenge, and mentally prepare. I knew it was going to be a lot of work so I tried to give myself some time to get it all together. I feel like I did a pretty good job – but I’m not following my meal plan very well – I tend to jump around on my intended meal plan – it’s sort of ridiculous for me to even plan food for certain nights because I never stick to my plan. I’m never in the mood for the food I planned for – so I usually just plan to get all the ingredients I need for a handful of recipes and then I just pick one of those each night. That has definitely happened this week so far and I’m only 2 days into it. 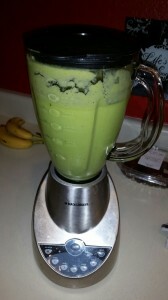 Another reason the Whole30 is truly a “challenge” is breakfast. The typical breakfast meal should be the most important meal of the day and I’ll tell ya, I don’t have time or even want to get up really early every day to make a big hot breakfast. My kids are not huge egg lovers and on this challenge besides eating leftover dinner for breakfast, your typical breakfast option is eggs. Needless to say my kids are soooo not happy about this challenge! My youngest son, who is 3, is having the hardest time. He loves cereal for breakfast, chicken nuggets for lunch and then doesn’t fight me too much on dinner. As a mom, I realize I’ve been doing the biggest disservice to my family with the type of foods we have been eating over the years and I have only myself to blame when my 3 year old doesn’t want to eat the big plate of veggies and grilled chicken. So I’m truly fighting my own uphill battle. 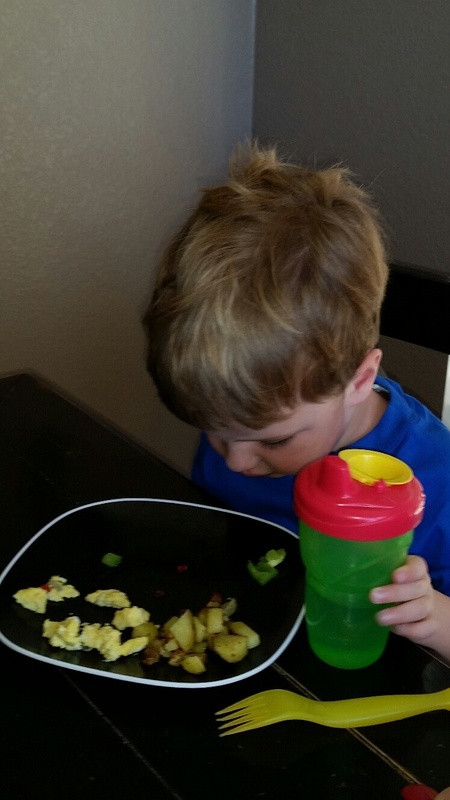 For example, on Day 1, we had scrambled eggs and some diced potatoes and a bunch of veggies for breakfast. It took so long to make in the morning that I was way behind getting kids to school and getting me actually dressed on time. Plus, all 3 kids hated it, my youngest hated it so much that he refused to even look at me when I took his picture. 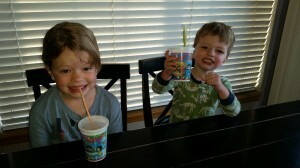 That’s always fun – first meal of the 30 day challenge and my kids are already wanting to check out. Great. Lunch was better and they all 3 loved dinner! So that was good. Today breakfast was another huge war. My youngest was so angry that he couldn’t have Cherrios that he refused to eat anything at all actually. I saved his eggs, ham and veggies for lunch and he still dug in his heels for his grandma and refused to eat. By 3pm he gave up and ate his breakfast so he could have a snack. He ate ALL his dinner! But I know it’s going to be an uphill battle. So far I’m feeling just fine. I don’t mind the food, and I’m not at all feeling starved. In fact, I’m very full after each meal. I’m not sure with how busy the last 2 days have been if I’ve really had time to even notice how I’m really feeling. I miss my coffee most of all. Yes, I could still have coffee, but it would have to be black – and I just can’t do black coffee. I know what I like about coffee is the cream and sugar. So, I’m 2 days with no coffee and it’s truly what I miss most of all. My husband told me when he got home from work tonight that he just wanted a Snickers bar really bad, but is feeling ok so far. 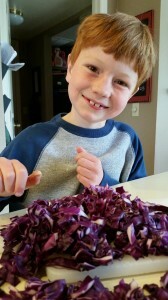 I do like how this is forcing my kids to try some new foods and they are trying. 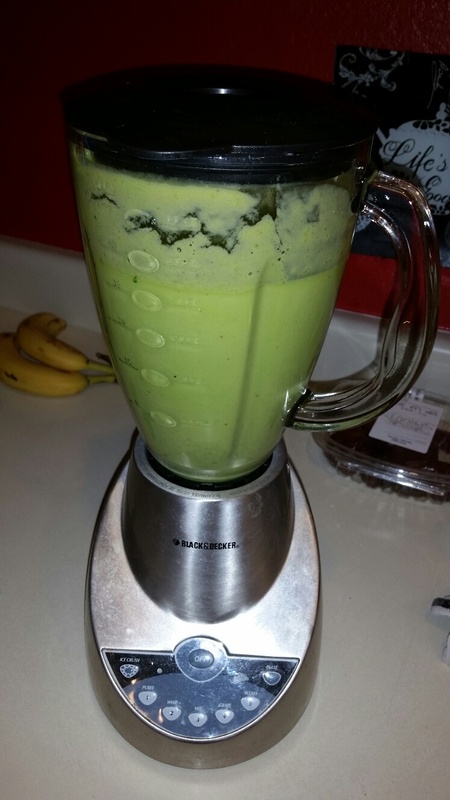 We will find new things we like to eat and thankfully I really do love trying new recipes! That’s my Health Quest update for now! Better get some sleep, who knows what the Lord has planned for me tomorrow! As you read from the previous post I suffered greatly running my 2nd half marathon – my attempt to try to feel normal again and pretend that my body was healthy again after all. WRONG! After that race I took it easy and gave my body a chance to recover – I didn’t run or exercise at all for a couple weeks, but I noticed that my feet were still really hurting, even when I’d just go for a walk around the block. I decided to take it easy and give my feet time to heal. A couple months later, I was introduced to an all-natural supplement that reduces oxidative stress by 40% after taking it for only 30 days. I had no idea what oxidative stress was at the time, but I started taking it and have seen some cool things happen with my health. When I first started taking it I was really hoping that this supplement would give me back my energy, and although that is not what happened, I did start sleeping much better at night (which I really needed) and my everyday headache was gone. This really helped my mood each day – having struggled with my sleep and every day, annoying migraines for years, this was huge for me! Ok, so great, now I’m sleeping better and my headaches are gone, why am I still so tired? And why are my feet and back so sore? And why can’t I lose any weight? The day I had thyroid surgery my surgeon warned me that for the rest of my life I would have to work 10 times harder than the average person at losing weight or keeping it off – even if my blood levels say the half of my thyroid I have left is functioning at its optimum level. Yippee. A few months ago I met a chiropractor, by accident. I never considered that a chiropractor could actually help me with anything; I just thought if I ever had a stiff neck then I would call a chiropractor. 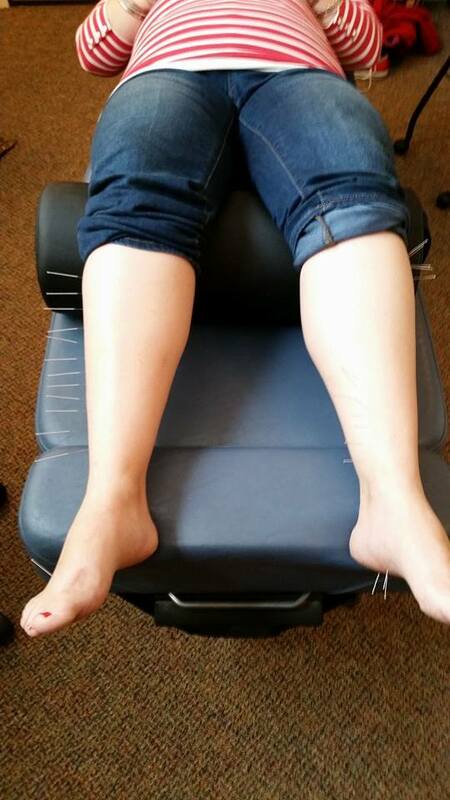 Well, after talking more with her, she told me that she’s had some great results helping people who have foot pain through the use of acupuncture. I decided to give it a try – that one acupuncture treatment has completely changed my view on my health. I’m sure you all are thinking – uh, sure Katrina, acupuncture? Really? How could that possibly change your life? 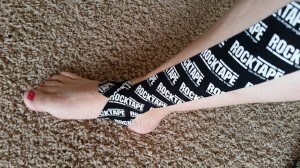 Well, over the next 5 weeks of being treated I’ve had a remarkable change in my foot pain (also she introduced me to Rock Tape – stuff is amazing! ), no more numbness in my toes and I’ve begun to dream again of all the races that me and my husband will get to run in the futur e.
She’s also been treating my whole body – checking all my aches in pains in my back and shins, and neck (mostly from running) but just overall from not taking care of myself. She’s helped me understand that the body is a whole unit – God designed it to be intricately connected and that each part has its purpose. I’ve heard this so many times before, but never really saw it play out in my own life. We need all our body parts to work together correctly, and function the way God designed them to, in order to feel good. She has helped me understand that something as small as foot pain can just be a symptom of a bigger problem, and it’s representing itself as a glimpse into the larger picture of your body’s overall health. I truly do have a foot pain, but it’s a side effect of my foot surgery and the lack of proper healing, which contributes to my back pain, excess weight, shin splin ts, fatigue, headaches, etc that I experience when I’m trying to run and get healthy again. It’s a terrible vicious cycle that I’m stuck in. I love to run (and I know I’ve said that a million times already), but it’s doing more damage than good because my feet needed help and my body needs to be nourished with the correct healthy foods from the inside out. My chiropractor has helped me feel so much better, not only in my feet, but my whole body. She’s opened my eyes to the big picture – that you can’t just fix the little thing, like toe numbness, that is bothering you, it’s just a small piece of the big picture and you need to see the whole picture to really get healthy. I’m more thankful than I can possibly write in words, and it’s just made me think about my health and how something as trivial as toe numbness, is connected to my entire body – not just my toe. I now so badly want to get off medications, even simple pain relievers and simply heal my body naturally with use of supplements and whole foods, and even some essential oils when necessary. I want so badly to feel well all over and work on my preventative health – not just fix stuff when it’s broken. I want to examine my whole body and get to the bottom of the things that cause me pain and fatigue and change them – finally. I’ve continued taking my supplement through all of this and am so thankful – I feel like it’s the only thing that is keeping me going right now, but I know if I want to see some major changes in my life and my health then I need to get an entire body overhaul. It’s a little over 2 years post surgeries and I’m sick of feeling fatigued, fat, and tired all the time. I’m ready for a total change and it starts tomorrow. 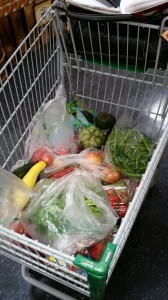 Stay tuned…I’ve read the book It Starts With Food, by Melissa and Dallas Hartwig and have purchased and spent hours prepping my food for this first week … I’ll be blogging often about how it’s going, what I’m learning and just how hard it really is. Who knew getting healthy was such a journey huh, and I’m only at the beginning…oh jeez..this is going to be quite a journey!